Chicago has a fashion vibe all it’s own and it’s fresh. 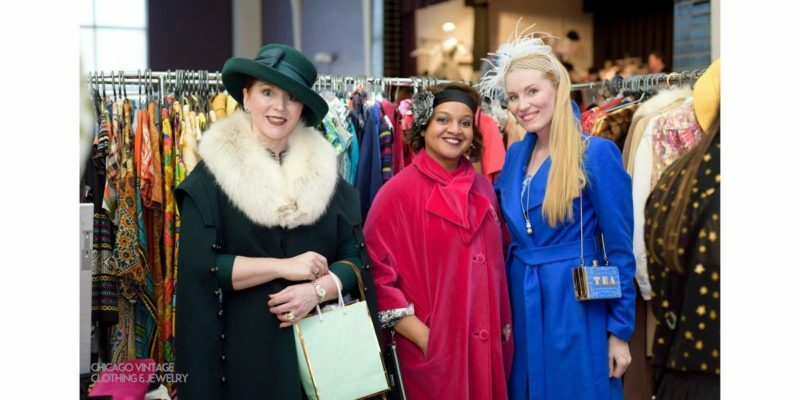 The Chicago Vintage Clothing & Jewelry Show has become a staple for the fashion world. New York, Los Angeles, Toronto and Europe! pattern makers are coming to shop in Chicago. It’s amazing. 50+ vendors of all things vintage fashion have been selected to show their goods. CVCJ is Chicago’s only ALL VINTAGE fashion event. designer vintage, designer vintage and all kinds of vintage fashion. as well as quality pieces that will inspire for seasons to come. You will not be disappointed. Interesting tidbit, vintage 90’s fashion is one of the hottest Google search terms for vintage and you’ll see it at the show. THE maker of jewelry for movies from the 1930’s until today. Witch from Wizard of Oz and more!